Development will celebrate Bristol’s industrial heritage while raising the bar for office design. Construction has started on 3 Glass Wharf, a major new 111,600 sq.ft. office headquarters building in Bristol’s Temple Quarter Enterprise Zone, designed by award winning architects, interior designers and master planners Darling Associates. The eight storey building by Salmon Harvester Properties Ltd will be located close to Bristol Temple Meads station and Brunel floating harbour, and will include ground floor retail uses. It is being developed on a brownfield site. 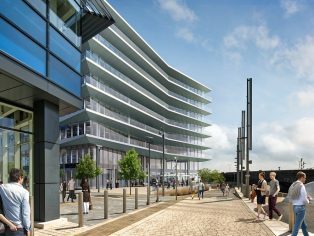 “3 Glass Wharf will set a new benchmark for office architecture in the Bristol regional market. The design is intended to celebrate the industrial heritage of the area, and in particular the glass production that took place at the riverside site. “Appropriately, we have incorporated the use of glass in the design in a very contemporary way, featuring shimmering glass facades, floor to ceiling glazing and frame-less glass balustrades that maximise views and elevate the amenity spaces, while balconies provide the solar shading”. The design also includes a landscaped public space facing the river front, providing a spill out space from the main riverside pedestrian route. 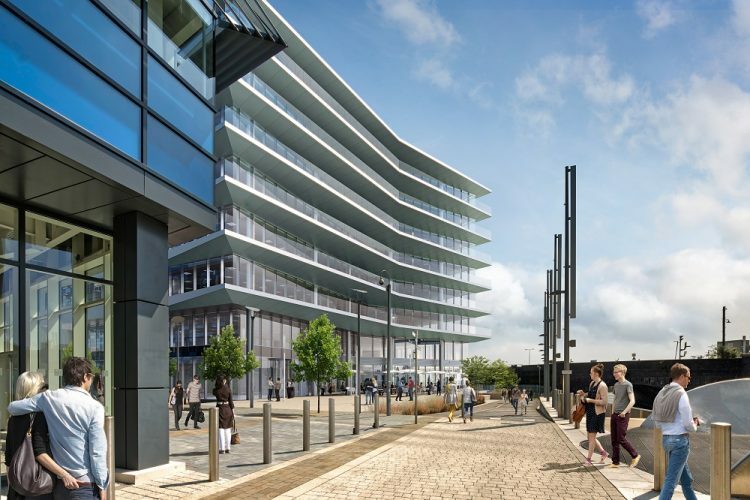 Darling Associates is also working with Salmon Harvester Properties Ltd on Anvil Gardens, a major mixed use residential development, also located in the Temple Quarter Enterprise Zone, and on Windsor Business Quarter. 3 Glass Wharf received planning consent in December 2014, and construction is expected to complete in Q3 2018. PSK Building Surveyors are the project managers, with Mason Navarro Pledge as structural engineers and Buro Happold as MEP engineers. The scheme is targeting a BREEAM Excellent rating.